Today was a light day! I got to squeeze in time for learning. I was watching and listening to videos from the Teachable summit. For 2017, I want to create a course, but I don’t know what course to create and share with you. This endeavour is something new to me. I felt confused as to where to start and how to start. I then remembered that 8 years ago, blogging was also new to me. It moved me to think about how I started blogging, and to think of the factors that made me get to where I am today. I’m pretty happy that I have gotten this far in blogging, and I attribute a big part of it to branding. 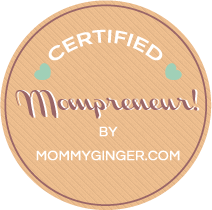 Create blogs with great branding, and you’ll go places! 1. Define a blogging objective. What is the main thing or specific thing that you want people to do, learn or read from your blog. 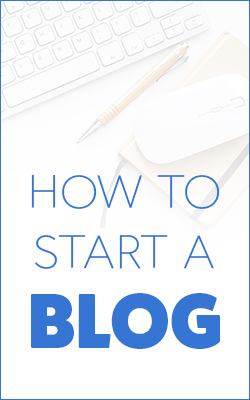 It is important that you have this in mind 24/7 when you create blogs. The topics that you choose, the videos that you make or even the picture or font that you use should be with aligned with the mood, tone or feel of the objective of the blog. Everything should be consistent. Consistency will come in when you have a clear objective. 2. Check on what you can offer that others cannot. Uniqueness is a big part of the game. All of us can be a certain type of blogger (mom blogger, travel blogger, etc.). What sets you apart can be how you craft your content, the tools and methods of how you relay your message, the tone of your message, and the chosen angle of your message. These are all dependent on what particular niche you are trying to talk to. Knowing your readers really well is what makes you know of your “uniqueness”. Truly listening and engaging with them will steer you towards the direction you alone will be taking. 3. Don’t forget offline marketing. Talking to people offline is as important as chatting with them via social media. Building trust or just getting to know people who are part of your chosen community or niche is one big factor for successful branding. People should know who you are as a person. They will trust you more once you connect with them in both the online and offline world. This is especially true when you don’t have your own flock of brand believers who will tell others of who your are and your story. These are just some tips that worked for me. Do you know of other tips that may have worked for you to develop a good brand. Share them with me please at the comments section below. 8 years of blogging? Wow! I’ve always wanted to put up a blog , but I always found excuses not to. Now I finally have one. But looking at the gazillion of blogs nowadays, I’m kinda worried that it’s probably too late now. 🙁 But I guess, success in blogging doesn’t come easy (or fast). Thanks for sharing these tips!